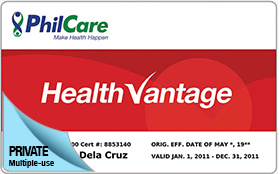 Availing of your very own Health Vantage cards is easy and hassle-free. Log on to www.philcare.com.ph and click SHOP NOW. You can pay for your purchases using your credit card or through any of PhilCare’s third party partners.